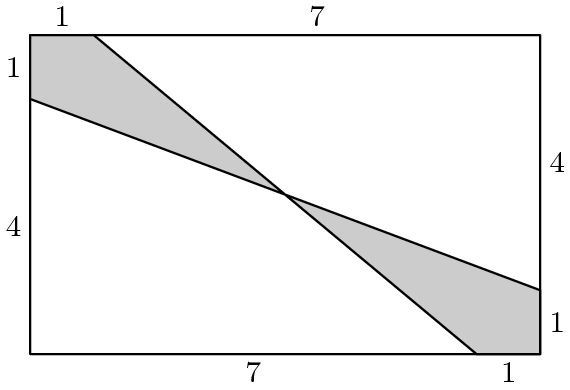 What is the area of the shaded region of the given 8 x 5 rectangle? The area is 6.5 square units. Using extra lines to break the shape into triangles is a great way to solve this problem.